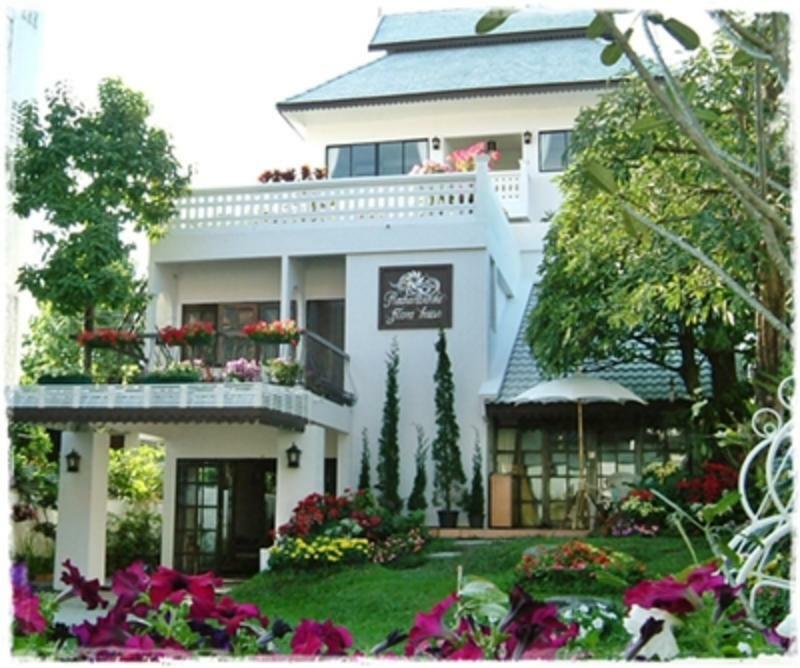 The only house located in the heart of Chiang Mai surrounded by a colorful flowers and garden with natural atmosphere. Enrich designed on contemporary northern Thai (Lanna) architectural style. A house is inside the walls of historic Chiang Mai city, within easy walking distance of all the main attractions, including Thapae Gate, Wat Chedi Luang,Wat Pra Singh, Walking street Sunday Market (less than 5 minutes), the Night Bazaar, Art & Cultural Museum, Three Kings Monument ( less than 10 minutes), Kad Suan Kaew Shopping mal (15 minutes) as well as a wide range of local shops, bars and restaurants. The airport, train station, bus terminals are each only 15 minutes drive away. Our staff speak excellent English as well as Thai, Mandarin, French and Japanese. A house located on Rachamankha Rd. opposite BP cityinn hotel.The airport, train station, bus terminals are each only 15 minutes drive away.